Pixel Ballads | Where idea's sing!! So, what factors would one consider to forecast demand? Is there a way to improve forecast accuracy? Very good questions. To recap, my previous post articulated the forecasting challenges faced by a marketer (presumably in Product Line Marketing) who was responsible for party supplies (paper cups, plates, spoons, forks, napkins etc). For those of you don’t know there are two critical functions that often fall under the direct purview of a marketer – Pricing and Demand Forecasting. In this series, I am going to focus on Demand Forecasting. I’ll cover Pricing later. The reason I bring up Demand Forecasting is because, often the 4P/4C framework or the Pragmatic Marketing framework that marketers often use or at least know about, does not even touch Demand Forecasting….even tangentially. Call campaigns are tough and are boring. Yes, really! 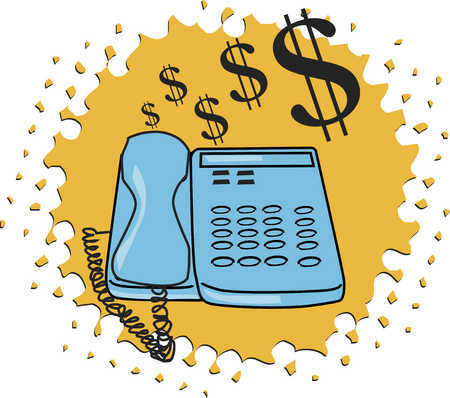 Dialing for dollars is one of the toughest things one can do. If it’s so boring and tough, then why do companies pay big-bucks to conduct call campaigns? There are several reasons. Here are a few..
CRM in its various shapes and forms has been in existence from the time we’ve had sales men. In the recent past it has morphed from the venerable Rolodex to on-prem software such as Siebel, ACT, Goldmine etc., to residing in the so called ‘cloud’ as an angel taking care of the sales-folks in the form of Salesforce.com (SFDC), SugarCRM, Zoho CRM, Nimble, Close.io, Stride, Highrise etc. In my previous post about the Value Add of Distributors (Part – 2), I had mentioned the inflated working capital (WC) at some of the key distributors highlighted (Ingram Micro, Avnet, Tech Data etc). This is a key characteristic of distributors. In my previous post about distributors, I mentioned that these guys are experts in SKU management. Some of the top global technology distributors such as Ingram Micro or Tech Data engage in millions of transactions per day while managing logistics for an equivalent number of items. This complex stuff. The indirect channel depends on the distribution network. But what do these guys do? And why does the indirect channel depend so heavily on distribution? Well, it’s simple. Manufacturers cannot cover all of their markets. And, everyone (end- user/reseller) cannot buy direct from the manufacturer. The dynamics of selling and buying direct is complex for a whole host of reasons. Enter, the middle man…..or the revered (or irreverant..depending on whom you ask) distributor.